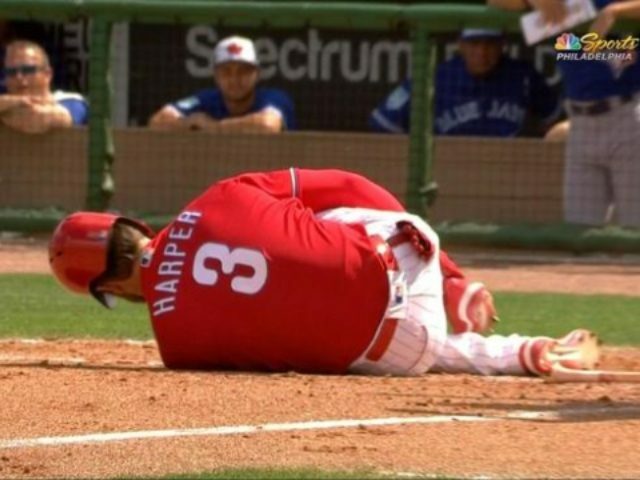 That sensation of panic was felt by Phillies fans everywhere as Bryce Harper lay crumpled on the ground after taking this pitch to the ankle. The pitch from Toronto’s Trent Thornton clocked-in at 96 mph. Harper was forced to leave the game. Phillies Manager Gabe Kapler says the team has no major concerns about the injury.